Today, Amnesty International reports: Syrian refugee’s situation at the Greek-Turkish border has dramatically deteriorated. „Refugees are forced to take off their clothes, their belongings were taken away, and were held at gunpoint before being pushed off to Turkey“ said Franziska Vilmar, Expert for Political Asylum at Amnesty International. Back in January, eleven refugees from Afghanistan and Syria drowned while a Greek cost guard ship’s tragic attempt to drag their boat back to Turkey. 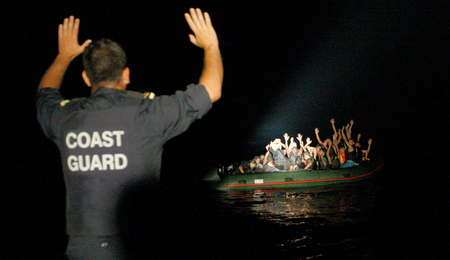 According to international and european law, the Greek government is obliged to enable refugees to apply for asylum. Amnesty demands that allegations in regards to abuses and violations will be examined. Today, Amnesty International intends to hand over 100.000 signatures against Push-Backs to the Greek Minister of the Interior.